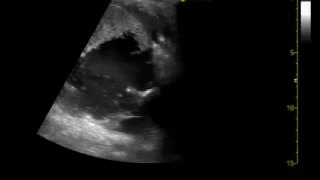 An 88 year old woman presents to ED from a nursing home hypotensive. She has recently been admitted to hospital with pneumonia, CCF, AF and bilateral below knee DVT’s. She was discharged on warfarin. She is generally feeling tired, has abdominal pain and is vomiting coffee ground vomit. On examination, her BP is 70/40, HR 80/min, saturations 90% on 6L of oxygen. There are bibasal crepitations on examination of her chest. She has a soft abdomen with a large, tender, firm mass in the RIF. 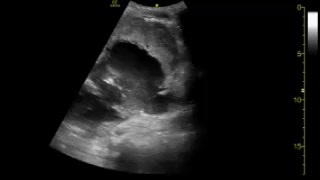 A point of care ultrasound is performed in the RIF mass on arrival. 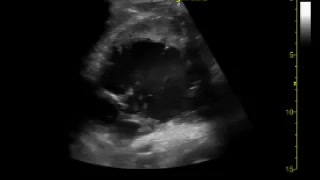 It shows a large mass with mixed echogenicity. 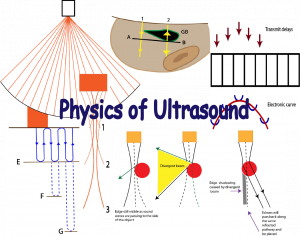 Within the anechoic area, pulsatile blood can be seen entering the area. Her blood gas results return. Her haemoglobin is 66. Her lactate 6.1. 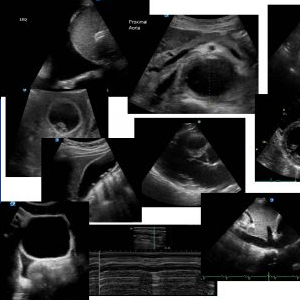 A CT angiogram is immediately organised looking for a source of bleeding. In the meantime her INR returns at 3.3. 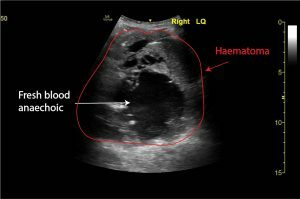 Her CT scan shows a giant spontaneous right retroperitoneal haemorrhage with foci of active bleeding in the right iliacus muscle. Her anticoagulation is reversed with vitamin K (10 mg) and prothrombinex. She is cross matched 6 units and she receives whole blood. 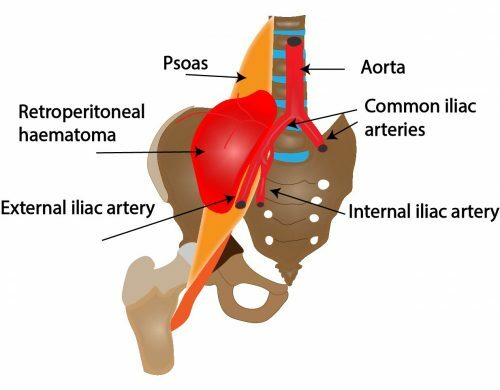 She is transferred immediately to the angio suite where embolisation of multiple foci of haemorrhage in the right iliacus branches of the internal iliac artery is performed successfully. She is transferred to ICU. Unfortunately she rebleeds 6 days later and does not survive. This case illustrates the dangers of anticoagulation. 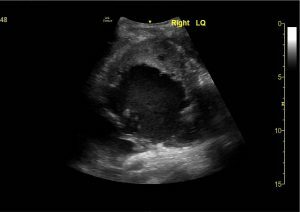 Although rare, retroperitoneal bleeding is not uncommon and more frequently found in the context of anticoagulation. The elderly are more vulnerable. Bleeding can occur with therapeutic doses of anticoagulation therapy (3). If actively bleeding, management centers on cessation of anticoagulation, antocoagulation reversal, volume resuscitation with transfusion therapy and haemodynamic stabalisation. Anticoagulation . 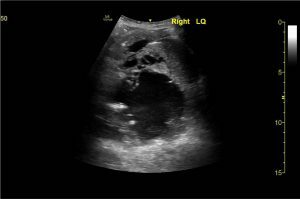 The INR may still be in the therapeutic range for a retroperitoneal bleed to occur. 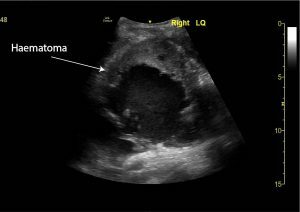 The true pathogenesis of spotaneous retroperitoneal bleeding is unknown. 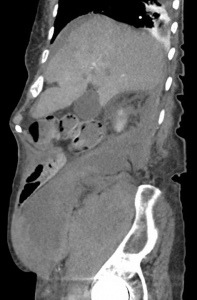 It is possibly due to retroperitoneal microvascular atheroslerosis causing the vessels to rupture with involvement of proximally large vessels if stretched by the enlarging haematoma. 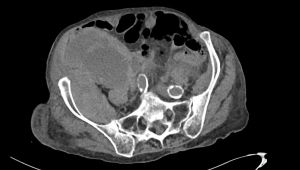 Radiopaedia : Spontaneous retroperitoneal haemorrhage Dr Tim Luijkx and Dr Avni K P Skandhan et al. This entry was posted in Cases, Abdomen. Bookmark the permalink.